The hotel is built in the Nubian desert on a shelf of pink granite overlooking the Nile opposite Elephantine island. One of the most famous grande dame hotels in Egypt, the Sofitel Legend Old Cataract Aswan retains much of its Victorian facade and elegance, with guests arriving in a historic lobby with polished marble floors and high, classic Islamic arches. The Old Palace Wing houses nearly half the 138 rooms and suites, while the newer Nile Wing is a later addition. The signature 1902 restaurant has a Qualawun Mausoleum and 75-feet dome and serves international and oriental specialities, while Al Saraya is a brasserie style affair with a terrace overlooking the Nile. There are no prizes for guessing what Oriental Kebabgy specialises in, and finally the Palms restaurant offers cocktails, snacks and lunch throughout the day. The emphasis is very much on drinks with a view at the four hotel bars, La Terrasse, Promenade, the originally named The Bar and Yasmin Vitamin Bar & Lounge, all of which have Nile views. Finally, So Spa offers rejuvenating treatments from around the world and includes an indoor pool, Jacuzzi, sauna, hammam steam room and gym.OT: La Terrasse bar features King Faoud Corner, where the former Egyptian monarch would sit enjoying the view of the Nile, the lifeblood of his country. La Terrasse bar features King Faoud Corner, where the former Egyptian monarch would sit enjoying the view of the Nile, the lifeblood of his country. Step back in time and soak up the atmosphere in the only palace on the Nile’s west bank. 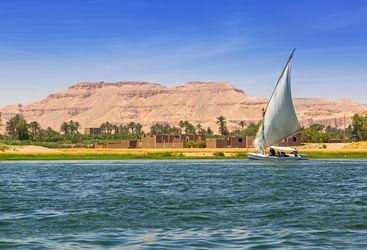 The Oberoi Zahra is one of two boats in the Oberoi’s Nile cruiser fleet and is an incredibly luxurious way to see the ancient sites of Egypt. Amelia is our 'Sofitel Legend Old Cataract Aswan' expert and as a seasoned traveller has the inside track on the most memorable adventures.